In search engine optimization, on page SEO refers to factors that have an effect on your website or webpage listing in natural search results. These factors are controlled by you or by coding on your page. Examples of on page optimization include actual HTML code, meta tags, keyword placement and keyword density. For years I have studied SEO (search engine optimization) only to find myself faced with all the different opinions people have thrown out there on the internet. Such things like whether or not speed is a factor, number of words on a blog post, or even black hat methods like paying for backlinks. While some of these examples are being used today, they are certainly not a make it or brake it factor when it comes to SEO. Below you will find our ultimate on page SEO guide to help you stay on track and find the best strategies that work for you and your business. If you are planning on monetizing your blog or selling products on your website then it is highly recommended to secure your website with HTTPS. I suggest doing this step right away before putting more content out there on your blog or website. You will need to create a 301 redirect from your HTTP URLs to your HTTPS URLs. Contact your hosting company to get a SSL certificate and change your URLs to HTTPS. While this won’t impact your SEO it will save you from the hassle of changing your URLs later on. If you do a search you will find that most website are migrating to HTTPS AND search engines are taking notice that these sites are marked as secure. Visitors see your website as a secure and trusted source. Search engines see your website as a secure and trusted source. E-commerce data is transferred safely for online purchases. Google is strongly advocating that sites adopt HTTPS encryption. Migrating from HTTP to HTTPS can effect your SEO ranking if 301 redirects aren’t in place. YES, this is where you must start if you are serious about ranking on the search engines for your keywords. Look even Matt Cutts, the head of search quality at Google, has his very own blog and it’s pretty simple with all the basic components you would expect from a blog. By blogging you are creating fresh and relevant content for your business. And increasing your chances of showing up on the search engines which in return brings more site visitors. 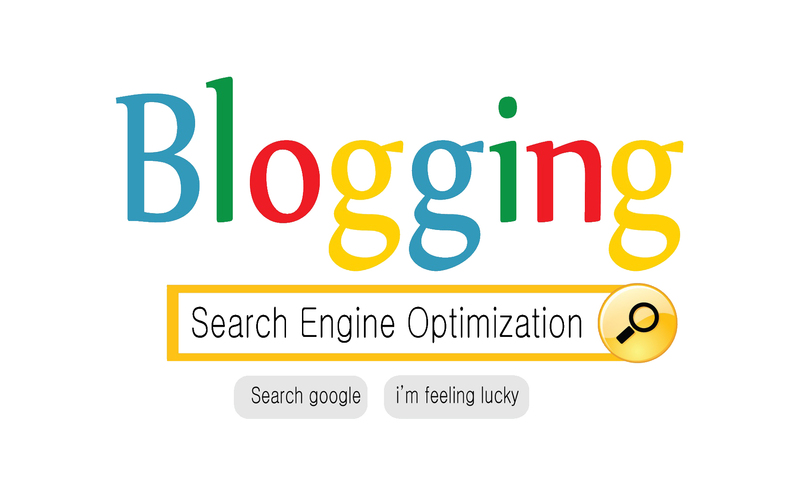 By blogging, you increase your chances of the frequency Google indexes and crawls your website. These are some of the benefits of blogging that will boost your SEO. Some say the longer your visitors stay on your site the better your SEO. BUT, it all comes down to posting blog posts and creating helpful/informative content for your followers. It really does not matter which blogging platform you choose. But, my first choice will always be WordPress.org. Here you can download the latest version of WordPress to later upload as your blog. You can either have a blog as your main domain or create a subfolder for your blog, www.examplesite.com/blog/ like I have done here for my blog. Some even include it as a subdirectory, blog.examplesite.com, again this is your personal preference. But if you ask me www.examplesite.com/blog/ is the preferred method unless your blog is your main site. Other blogging platforms you might use are free hosted blogging platforms such as: WordPress.com and Blogger.com. In this article we will be discussing how to optimize your website using WordPress.org as your selected self-hosted blogging platform. It is highly recommended to install plugins that will help you with your blogging and staying up-to-date with your ananlytics. Two plugins I use are Google Analytics by ShareThis and Yoast SEO Premium. These two are in my opinion a must have for your search engine optimization. And purchasing the Yoast Premium plugin is definitely worth the money. In WordPress, you’ll want to change your custom URL structure for your permalinks to “post name”. An example of a post name URL is https://www.linderobrands.com/blog/sample-post/. Search engines are now reading the words in your URLS. I find this to be the hardest part of SEO. While I do not see myself as a blogger, I have kept up with it and have enormously improved over time. If you have employees that have some downtime, this would be the perfect opportunity to get them to blog about the company. Or you can hire a content writer to get the job done. I would say this is the most important step by far. Is getting great content out there that will be read, shared, and linked to naturally by your site visitors. In return, your site will be found, crawled and indexed by Google more frequently depending on how many blog posts you are submitting on average. Talk with your site visitors, they are starting up conversations for a reason. Because you are providing valuable content for them. Answer their questions and give them even more valuable information in your responses. Even if it’s just a “thanks for your comment” it doesn’t go unnoticed. People don’t want to leave comments on blogs where there’s no engagement. What is Google Search Console? And How These Tools Help Your SEO.